Want to highlight your eyebrows and make your eyes look brighter and more expressive? Say goodbye drawing your eyebrows daily with a pencil , choose to paint your eyebrows with henna, what will give you a beautifully highlighted eyebrow effect, and the result will remain for 3-4 weeks. 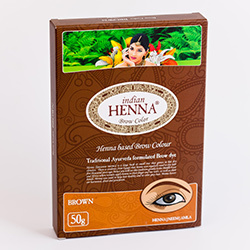 INDIAN HENNA BROW unlike artificial colorants remain strongly on skin and hairs, and also has a therapeutic effect, it strengthens the hair bulb and promotes hair growth, making the eyebrows thicker and more pronounced, which is especially true for those who experience slight hair loss in the eyebrows. The result is visible after the procedure, the tone becomes more saturated after 12h. Ingredients (INCI): Lawsonia Inermis (henna), Magnesiocummingtonite (Soapstone), Azadirachta Indica (Neem), Emblica officinalis (Amla), Sodium percarbonate, p-Aminophenol, Citric acid, Magnesium carbonate, Sodium sulfite. Want to highlight your eyebrows and make your eyes look brighter and more expressive? Say goodbye drawing your eyebrows daily with a pencil , choose to paint your eyebrows with henna, what will give you a beautifully highlighted eyebrow effect, and the result will remain for 3-4 weeks. "Eyebrow coloring with henna" or "eyebrow biotatuage" is a procedure for the eyebrow recovery and to redeem a perfect eyebrow shape, where we use INDIAN HENNA BROW which is specially designed for eyebrow dyeing. 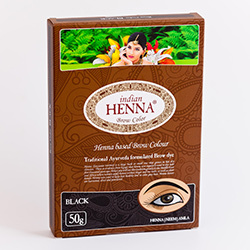 INDIAN HENNA BROW unlike artificial colorants remain strongly on skin and hairs, and also has a therapeutic effect, it strengthens the hair bulb and promotes hair growth, making the eyebrows thicker and more pronounced, which is especially true for those who experience slight hair loss in the eyebrows. The result is visible after the procedure, the tone becomes more saturated after 12h. and gloss and prevents premature graying. Ingredients (INCI): Bringaraj (eclipta alba) leaf powder. 100% natural Ayurveda hair color. This product can not be compared to chemical hair colors! It is completely harmless to hair and skin, does not cause allergies, has a conditioning, softening effect, helps to get rid of dandruff, gives shine to damaged hair. Regular usage makes hair shiny, also restores healthy hair and scalp. 100g of paint is enough to paint the hair up to the shoulders. Ingredients (INCI): Lawsonia Inermis Linn, Eclipta alba, Centella asiatica, Terminalia chebula, Terminalia bellirica roxb., Coffea arabica. 100% natural Ayurveda hair color. Does not contain preservatives, color enhancers, chemical additives. With this color you can nourish your hair while colouring with herbal extracts. Suitable for all hair types. Ingredients (INCI): Lawsonia Inermis Linn, Indigofera Tinctoria, Emblica Officinalis Gartn. 100% natural Ayurvedic hair care product. Henna can be used for restoring and conditioning your hair. It is completely harmless to hair and skin, does not cause allergies, has a conditioning, softening effect, helps to get rid of dandruff, gives shine to damaged hair. 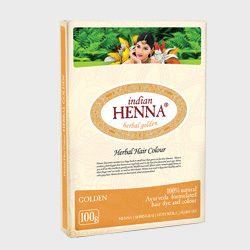 With colorless henna, you can give a golden tint to shiny or very light hair. Usage will help to restore the hair structure of any tone, including chemically damaged, bleached hair. Ingredients (INCI): Cassia Obovata powder. Basma is derived from indigo leaves and is used as a natural and hypoallergenic color. In the past, basma was used as a treatment and cosmetology tool for hair, eyebrows and eyelashes. 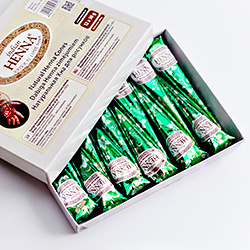 Basma itself produces a dark blue-green hue, so it is recommended to use it with henna. This color of hair allows you to create beautiful natural colors - brown, golden brown, brown and black. 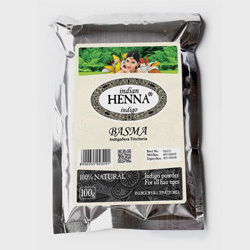 Basma contains many biologically active substances and vitamins that have bactericidal and anti-inflammatory effects. It eliminates dandruff, improves the structure of the hair, stimulates growth. Therefore, basma is also used to treat skin diseases, gums, throat inflammation, tonsillitis. It is not advisable to dye your hair with basma only - use it in a mixture with henna. It neutralizes the blue-green hue. Herbal Dry Shampoo REETHA Indian soap nuts. REETHA powder can be used as a shampoo and conditioner to restore hair. REETHA is completely harmless to hair and skin, does not cause allergies, has a conditioning, softening effect, helps to get rid of dandruff, gives gloss to the hair. It can also be used as a body wash.
Natural henna for decorative body designs Mehandi. Paste is ready to use. The application of Hennas pattern is completely painless and does not cause any damage to the skin. In fact henna colors and cools the skin. It also has anti-fungal and antiseptic properties. Drawings made with natural henna can be orange, reddish or brown. However, the color of the drawing depends where on body you draw, the drying time and individual skin reactions. A natural remedy for hair and skin care. 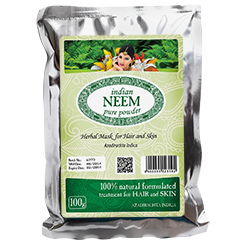 NEEM powder can be used as a mask for hair regeneration, for getting rid of dandruff and as a mask for problematic and oily skin. How to use: Pure the contents of the package (or part of it) in the container. Mix the powder with a sufficient amount of warm water to form a homogeneous paste.. Apply a paste to your hair or other problem area of the skin. Leave for 10-15 minutes, then rinse with warm water. Pure cold pressed unrefined Neem seed oil. Obtained by cold pressing method. Disinfects, moisturizes and protects the skin. Ayurvedic medicine from the ancient times has been using it as a cream, lotion, shampoo and soap. This oil is known for its amazing bactericidal and antiseptic properties. 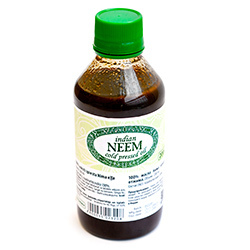 Neem oil has a warming and blood circulation stimulating effect, so it is effective against rheumatism and arthritis.